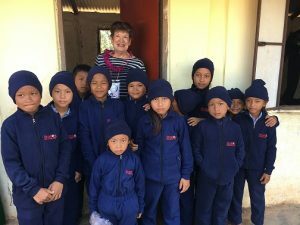 My name is Carol and I would like to take a moment to share with you some of my experiences on my recent trip to South Asia with ServeNow. This was my first mission trip! Upon arriving in South Asia my first impression was the warmth of the people. We felt so genuinely welcomed everywhere we went. There were so many amazing moments, so many blessings and so much love! The mission touched my heart in unexpected ways, it was life changing! But my first experience took place months before the mission trip was scheduled to take place. I was at church listening to Ben (the President of ServeNow) speak about the ServeNow mission and he specifically mentioned the South Asia trip and the purposes for going to there. It was then that I first felt the calling to participate. Among the many reasons, I felt that in going, my main purpose was to connect with, minister to and encourage the women at risk. The women in some of the poorest regions are very much in need of support for their families. Some of the ladies are unmarried and have no other means of support. Others need to supplement their husband’s income. Since they do not have any skills training, they are therefore very susceptible to abuse, trafficking and prostitution. The regions we visited were slums and some were very remote. I was stunned by the living conditions. 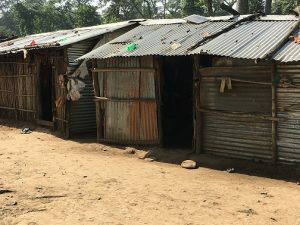 They lived in one room shacks, no water, electricity, plumbing or any of the conveniences that we take for granted. The majority of the homeless in the United States have better living conditions than many of the poor we visited with. Yet, I was touched by their ability to be happy, warm, loving and generous with what little they had. 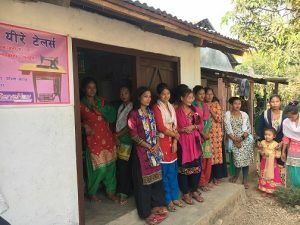 ServeNow has established a training program for the women to learn a skill and in doing so will prevent them from feeling like they have no way with which to support their families nor themselves. 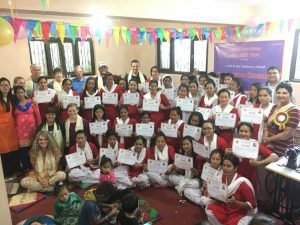 A tailoring program has been successfully established. The class sessions are for six months with approximately twenty students. 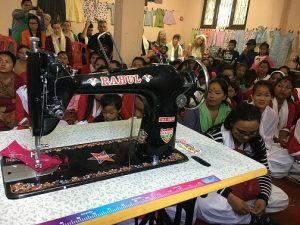 When the students graduate, they are given a sewing machine and some fabrics and supplies to help them to get their businesses started. The classes are so popular that there is a waiting list for placement into a class. We visited with ladies who were new coming into the program, those that have graduated and those that have begun their tailoring service. In each of these our main purpose was to demonstrate the love of Christ and to show our support for their efforts and successes. 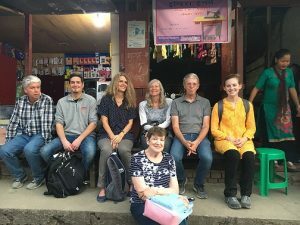 The talks we gave were with the assistance of an interpreter but even though there was a language barrier you could tell by their smiling faces that they were feeling very happy and understanding our message. The graduation ceremony we attended was special partly because the graduates were all wearing the same style and colors of clothing that they had each made themselves! 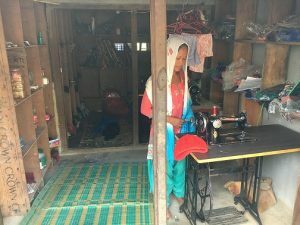 Some of the former graduates had opened a shop with other graduates, some had their own shop, others worked from home if possible or just used their new skill to clothe their families. I was excited to visit with the ladies just coming in to the program. I wanted to encourage them that they made a good decision and to be confident of their abilities. I reminded them that God loved them, and He would be with them every step of the way. Again, thank you! You were all a part of this mission trip in various ways. Without your support and prayers these missions would not be possible. Also, I encourage you to go on one of the ServeNow missions. Its life changing! 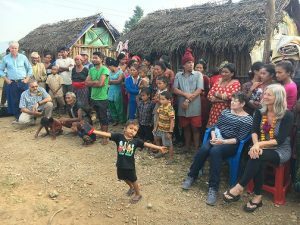 ***If you are interested in joining a ServeNow team on one of the 2019 trips, you can check out the details here: 2019 ServeNow Mission Trip Opportunities.